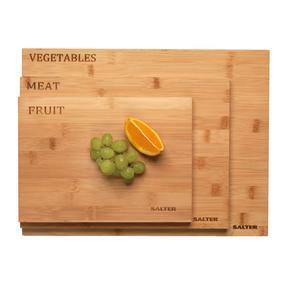 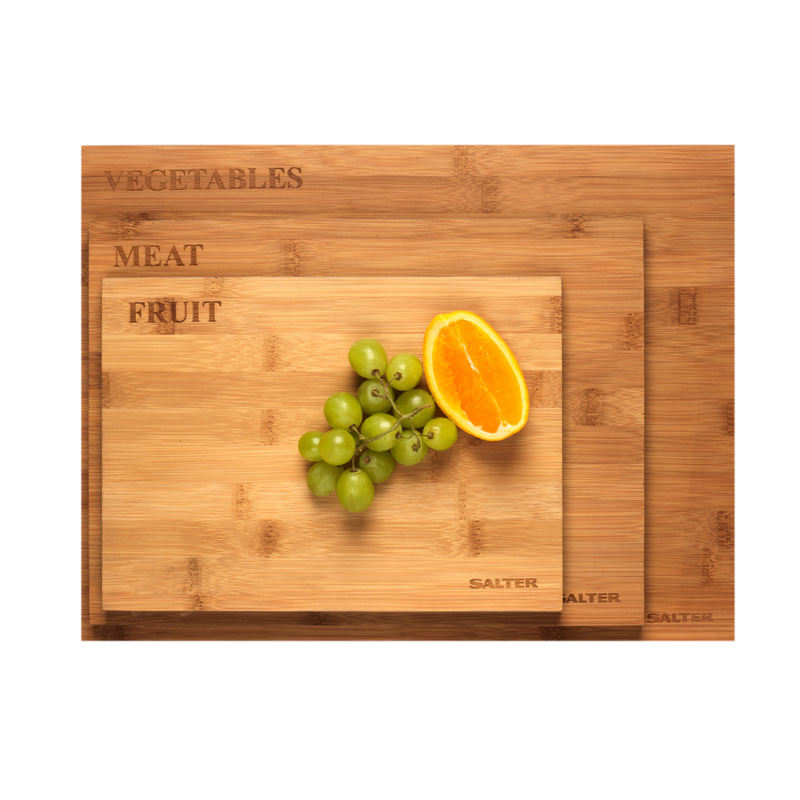 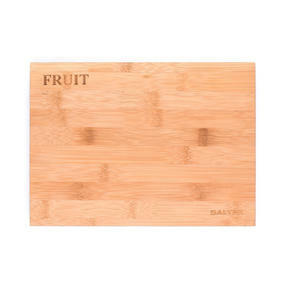 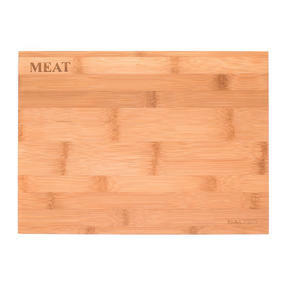 Food preparation is made simple with this set of three bamboo chopping boards from Salter. 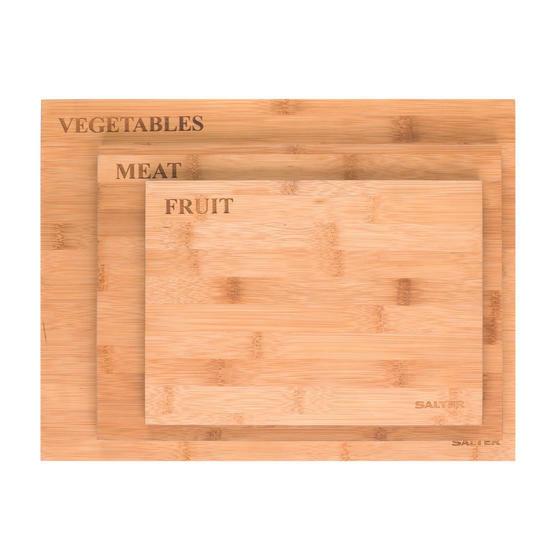 Labelled and individually sized for fruit, meat and vegetables, these hard-wearing bamboo units help keep ingredients separate whilst providing reliable protection for your kitchen surfaces when chopping. The boards feature tasteful, uniquely graded grey rims for easy identification and their ultra-modern, minimalist design allows them to blend in with almost any kitchenware colour scheme or aesthetic. These chic Salter chopping boards are crafted from high-quality bamboo and would be a perfect addition to any kitchenware collection. 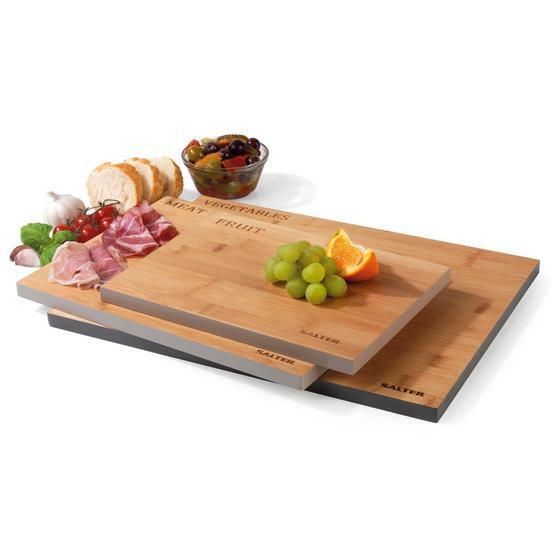 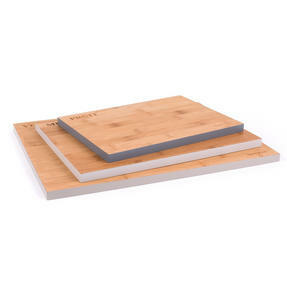 Includes three individual boards for fruit, meat and vegetables, enabling you to efficiently separate ingredients during preparation. 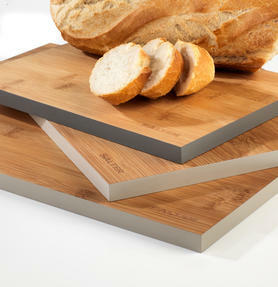 Highlighted with stylish, distinctly graded grey rims, the boards look great displayed together as a set or as standalone items. Made to last, this handy wooden chopping board collection promises years of loyal service and is supplied with a five-year guarantee.